Susy began her career as a young wine writer in the early 1990s at WINE magazine. She left in 1994 to spend five weeks in South Australia during the harvest, working as a 'cellar hand' at wineries in the Barossa Valley. On her return, she began working for the Consumers' Assocation, editing Which? Wine Monthly, which evolved into wine reports for the main Which? magazine. She became co-editor of the Which? Wine Guide in 1997 and has since worked on seven editions of the guide. Susy now writes a regular weekly column for the Sunday Telegraph stella magazine and is the drinks editor of delicious. magazine. Her books include Wine Wisdom, How To Choose Wine, Wine Made Easy and the best-selling, fun pocket-book Girls' Guide to Wine. She has won both the Glenfiddich Food & Drink award and the Prix du Champagne Lanson wine writing award for her books. In 2014 she won a prestigious Champagne Louis Roederer International Wine Writers' Award for best short wine column for her work in Stella magazine and in late 2016 she was awarded Rioja Communicator of the Year at the 2nd annual Rioja Recognises awards in London. Susy is familiar to many wine & food lovers as a regular wine expert and presenter on BBC1's flag-ship cookery show Saturday Kitchen, which attracts 2 - 3 million viewers each week. Before that, she was a resident wine expert on Channel 4's Richard & Judy. She has also appeared as a guest on TV's Market Kitchen, UK Food channel programmes such as Great Food Live, and broadcast numerous times on BBC Radio 4 for programmes such as Excess Baggage, Woman's Hour and The Food Programme. 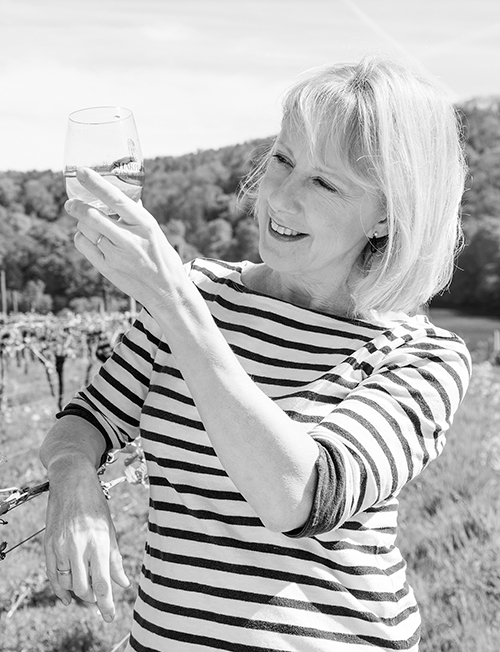 She regularly gives wine tastings across the UK; get in touch with her to find out where and when, or to discuss your event, via the Contact page!